Join NSU’s Halmos College of Natural Sciences and Oceanography for the next Mathematics Colloquium Series event: “Geometric Flows.” This talk is free and open to the public. A geometric flow is a process which is defined by a differential equation and is used to evolve a geometric object from a general shape to one with more symmetries. For example, the curve-shortening flow deforms a simple closed curve to a round one. The Ricci flow deforms a simply connected surface (for instance, one that is football shaped) to a round sphere. In this talk, the speaker will give an overview of some of these geometric flows, in particular, the singularities that these flows often run into. 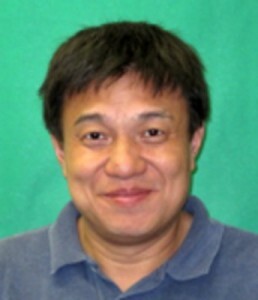 Guest speaker Ming-Liang Cai, Ph.D., is an associate professor in the Department of Mathematics at the University of Miami. His research interests include differential geometry and mathematical relativity. He received his doctoral degree in 1991 from the University of Pennsylvania. Hosted by NSU’s Halmos College of Natural Sciences and Oceanography Department of Mathematics, the Mathematics Colloquium Series aims to increase awareness of the importance of mathematics and applications in daily life. The series also gives mathematics faculty members and students the opportunity to discuss independent research and share their passion for the subject. For more information, contact Jeffrey W. Lyons, Ph.D., assistant professor, at (954) 262-7931.